Landscapes need regular and routine care to make them look their best and retain the health of the plants. Just as regular maintenance of a home is needed to prevent bigger problems, a landscape should be considered in the same way. Our spring shape up and maintenance program prepares the new or established landscape for the upcoming growing season. Perennials that were left untrimmed in the fall will be cut back and dead headed of any spent blooms. Opening up the crown of the plant allows more air and light to penetrate the surface, warming the soil around the plant. Plant debris, leaves and twigs that have accumulated will be removed, preventing certain plant diseases from affecting the plantings. This is a good time to inspect shrubs and trees for winter damage from deer, rodents or storms. Trimming and pruning of deadwood will make the plants healthier, stronger and more attractive. Not all fertilizers are alike. 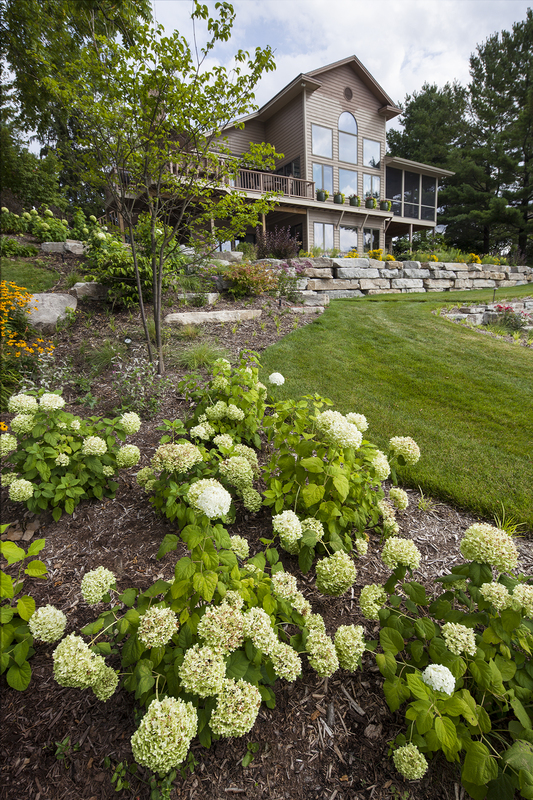 Evergreens and broadleaf shrubs and trees may need different applications than other ornamental perennials, shrubs and trees. Pre-emergence weed preventer will help reduce weed seed from germinating and becoming a bigger problem as the season progresses. During the shape up and maintenance process, mulch will be loosened, making the soil less compacted after heavy winter snows. A top dressing of mulch will be applied, as needed. Besides making the beds attractive and tidy, mulch provides nutrients, prevents weeds, retains moisture in the landscape beds and can cool the soil in the hot summer months.